Andrea Smith, “Heteropatriarchy and the Three Pillars of White Supremacy” from The Color of Violence: The INCITE Anthology. (10 page PDF*: Smith_Heteropatriarchy_3_Pillars_of_White_Supremacy). (bio). Sharon Martinas, “Shinin’ the Light on White: Part One, White Privilege” from the Catalyzing Liberation Toolkit. (12 page PDF: Shinin_Lite_on_White_Martinas). (bio). Cynthia Kaufman, “Capitalism and Class” from Ideas for Action: Relevant Theory for Radical Change. (25 page PDF: Kaufman_Capitalism_and_Class) (bio). Marta Russell, “Why Not Capitalism?” at ZSpace (also 4 page PDF: Russell_Why_Not_Capitalism) (bio). Frederick Douglass, “No Progress Without Struggle” (4 page PDF: Douglass_No_Progress_Without_Struggle) (bio). Catalyst Project, “Tools for White Anti-Racist Organizing” from the Catalyzing Liberation Toolkit. (2 page PDF: Tools_for_White_Anti-racist_Organizing). (bio). Paul Kivel, excerpts from Uprooting Racism. (6 page PDF: Kivel_Uprooting_Racism_excerpts). (bio). Tema Okun, “White Supremacy Culture” from dismantlingracism.org. (2 page PDF: White_Supremacy_Culture_Okun). (bio). California Newsreel, “Amazing Facts about Health” from Unnatural Causes … is inequality making us sick? (4 page PDF: Amazing_Facts_Unnatural_Causes). (bio). Paul Kivel, “What Does the Economic Structure of the U.S. Look Like?” from You Call This A Democracy? Who Benefits, Who Pays, and Who Really Decides. (18 page PDF: Kivel_What_Does_the_Economic_Structure_of_US). (bio). Peggy McIntosh, “White Privilege: Unpacking the Invisible Knapsack”. (2 page PDF: White_Privilege_Unpacking_Invisible_Knapsack_McIntosh). (bio). Coloradans for Immigrant Rights, “Citizen Privilege and Ally Basics” from AFSC.org. (2 page PDF: Citizenship_Privilege_Ally_Basics_CFIR). (bio). Robert Allen, “Organized Labor: From Underdog to Overseer” from Reluctant Reformers. (25 page PDF: Allen_Organized_Labor_from_Underdog_to_Overseer). (bio). danni west, “Legacies of Resistance: White Anti-Racist Activism”. (4 page PDF: west_Legacies_of_Resistance). (bio). Robert Allen is an activist, writer, and Adjunct Professor of African-American Studies and Ethnic Studies at the University of California, Berkeley. Dr. Allen received his PhD in Sociology from the University of California and previously taught at San José State University and Mills College. He is Senior Editor of THE BLACK SCHOLAR: Journal of Black Studies and Research. California Newsreel (founded in 1968) is a non-profit, social justice film distribution and production company based in San Francisco. They produce and distribute both documentary and feature films, with a focus on the advancement of racial justice and diversity and the study of African American life and history, as well as African culture and politics. In 2006, Newsreel launched a new thematic focus for their work: Globalization, with an emphasis on the global economy and the international division of labor. Several of California Newsreel’s films have been broadcast on PBS. Films include Race: The Power of an Illusion (2003), and UNNATURAL CAUSES: Is Inequality Making Us Sick? (2008). Groups around the country are using this four-hour PBS series and its companion tools (at www.unnaturalcauses.org) in classrooms, community dialogs, trainings, policy forums and town-hall meeting to help reframe the national debate over health and what we can – and should – do to tackle our health inequities. Catalyst Project (established 2000) is a center for political education, leadership development and movement building based in the San Francisco Bay Area. We are committed to developing white anti-racist leaders and organizers in left social movements, deepening anti-racist commitment and practice in white communities and building multiracial left movements for liberation. Catalyst creates spaces for activists and organizers to collectively develop relevant theory, vision and strategy to build our movements. Catalyst programs prioritize leadership development, supporting grassroots fighting organizations and multiracial alliance building. More at collectiveliberation.org. Coloradans for Immigrant Rights (established 2005) “is a group of volunteers educating citizens about the human rights of immigrants in order to contribute to a more nuanced discussion of this issue. Our goal is to build a network of people who will take action in support of Immigrant Rights. 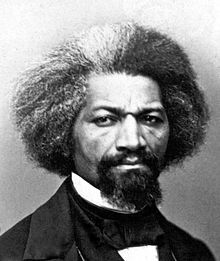 Frederick Douglass (1818 – 1895), born into slavery in Maryland, was one of the foremost leaders of the abolitionist movement. A brilliant speaker, Douglass was asked by the American Anti-Slavery Society to engage in a lecture tour and became recognized as one of America’s first great Black speakers. He won world recognition when his autobiography was published in 1845. Two years later he began publishing an antislavery paper, the North Star. Douglass served as an adviser to President Abraham Lincoln during the Civil War and fought for the adoption of Constitutional amendments that guaranteed voting rights and other civil liberties for blacks. Douglass provided a powerful voice for human rights during this period of American history and is still revered today for his contributions against racial injustice. Cynthia Kaufman teaches at De Anza College, a large multiracial community college in Cupertino, CA. She serves as Chair of the Department of Women’s Studies, Facilitator of Multicultural Curriculum Development, member of the Philosophy Department, and advisor to Students for Justice. She was a member of the Socialist Review editorial collective for six years, has been an activist for social justice since 1980, and has previously taught at Evergreen State College in Olympia, WA. Her doctorate in Philosophy was awarded from the University of Massachusetts at Amherst in 1991. 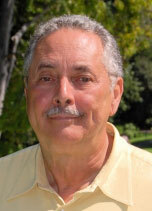 Paul Kivel, social justice educator, activist, and writer, has been an innovative leader in violence prevention for 30 years. He is an accomplished trainer and speaker on men’s issues, racism and diversity, challenges of youth, teen dating and family violence, raising boys to manhood, and the impact of class and power on daily life. His work gives people the understanding to become involved in social justice work and the tools to become more effective allies in community struggles to end oppression and injustice and to transform organizations and institutions. Kivel_Uprooting_Racism_excerpts is the author of numerous books and curricula, including Uprooting Racism: How White People Can Work for Racial Justice, which won the 1996 Gustavus Myers Award for best book on human rights, Men’s Work, Making the Peace, Helping Teens Stop Violence, Boys Will Be Men, I Can Make My World A Safer Place, and most recently, You Call This a Democracy? : Who Benefits, Who Pays, and Who Really Decides. More at paulkivel.com. Sharon Martinas joined the movement in the summer of 1965, when she was recruited to teach in a Student Non-Violent Coordinating Committee Freedom school in Selma, Alabama. She played a leading role in organizing white student solidarity with the Third World Liberation Front student strike led by the Black Student Union at San Francisco State University that won the first Ethnic Studies program in the country. She was a legal staff worker with the National Lawyers Guild and developed curriculum at SF City College for working class women navigating the welfare and prison systems. She was the volunteer coordinator through the 1980s with the Committee in Solidarity with the People of El Salvador (CISPES).In 1990, she co-created a history course with Mickey Ellinger for activists called “Addressing White Supremacy in Progressive Movements.” After participating in a People’s Institute “Undoing Racism Workshop,” Sharon and Mickey co-founded “The Challenging White Supremacy Workshop” in 1993, for which Sharon wrote the CWS Workshop Exercise Manual. 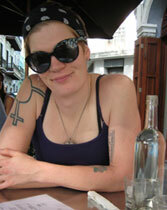 In 2000, she and Chris Crass co-created Anti-Racism for Global Justice, which then became the Catalyst Project. She is part of European Dissent in New Orleans and works closely with grassroots people of color-led organization work to rebuild New Orleans post-Katrina. She continues to mentor many white anti-racists in the Bay Area and around the country. Peggy McIntosh PhD, is the Associate Director of the Wellesley College Center for Research on Women. She is Founder and Co-Director of the SEED (Seeking Educational Equity and Diversity) Project on Inclusive Curriculum. The SEED Project helps teachers create their own yearlong, school-based seminars on making school climates, K-12 curricula, and teaching methods more gender fair and multiculturally equitable. Dr. McIntosh directs the Gender, Race, and Inclusive Education Project, which provides workshops on privilege systems, feelings of fraudulence, and diversifying workplaces, curricula, and teaching methods. Tema Okun has worked with community-based non-profits for over 20 years. Her work as a staffer for the Rural Advancement Fund, the Carolina Community Project, Grassroots Leadership, and the Institute for Southern Studies has formed the core of her organizational experience, where she has served in such varied roles as development director, training director, and interim executive director. Tema has worked with hundreds of groups on organizational development issues including fundraising, long-range strategic planning, member and board development, issue and organizing campaigns. With James Williams, she helped to develop Grassroots Leadership’s Barriers and Bridges program, which worked with organizations over a three-year period to address race, class, gender, sexual identity and other issues impeding effectiveness. For the past dozen years, Tema has partnered with Kenneth Jones and other trainers at ChangeWork, a not-for-profit training collaborative, to facilitate a Dismantling Racism process designed to help organizations and communities effectively address racism and other oppression issues. Marta Russell writes on the political, social and economic aspects of disablement. Born with an impairment, Russell began writing when her impairment progressed and she no longer worked in the film industry. Her socioeconomic analyses have been published in the Berkeley Journal of Employment and Labor Law, the Review of Radical Political Economy, the Journal of Disability Policy Studies, Disability & Society, Monthly Review, Disability Studies Quarterly, Left Business Observer, Real World Micro, the Socialist Register 2002, and Backlash Against the Americans with Disabilities Act: Reinterpreting Disability Rights (Corporealities, Discourses of Disability). Russell’s articles have been published in Counterpunch, the Ragged Edge, New Mobility Magazine, Mouth, the San Jose Mercury News and other newspapers. She writes a monthly commentary for Znet. Russell’s first book, Beyond Ramps, Disability at the End of the Social Contract is what USC professor Harlan Hahn describes as “a stinging critique” of disablement under American capitalism. 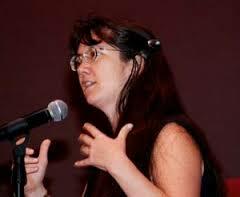 Andrea Smith is a Cherokee intellectual, feminist, and anti-violence activist. Smith’s work focuses on issues of violence against women of color and their communities, specifically Native American women. Along with Nadine Naber, she cofounded INCITE! Women of Color Against Violence in 2000, and she is a member of INCITE!’s National Planning Committee. INCITE! is a national grassroots organization that engages in direct action and critical dialogue to end violence against women of color and their communities. Smith was also a founding member of the Boarding School Healing Project (BSHP) which “seeks to document Native boarding school abuses so that Native communities can begin healing from boarding school abuses and demand justice.” Smith has worked with Amnesty International as a Bunche Fellow, coordinating the research project on sexual violence and American Indian women. Smith’s Conquest: Sexual Violence and American Indian Genocide won the 2005 Gustavus Myers Outstanding Book Award. She is currently a professor of American Culture and Women’s Studies at the University of Michigan in Ann Arbor, MI. danni west is a white anti-racist organizer and writer from the Midwest. Danni has worked as a political education trainer/organizer with the Unitarian Universalist Youth and Young Adult community. Danni also works with the national white anti-racist network U.S. for All of Us: No Room for Racism. Danni researched and wrote this piece during an internship with Catalyst Project in 2004.